MIUI 6 Global Developer ROM version 5.7.16 is now available for Xiaomi Redmi 1S, Redmi 2, and Mi 4i. Most of the Xiaomi users who are using the stable version on their phone and now wondering why they have to install or try the MIUI 6 Global Developer ROM. 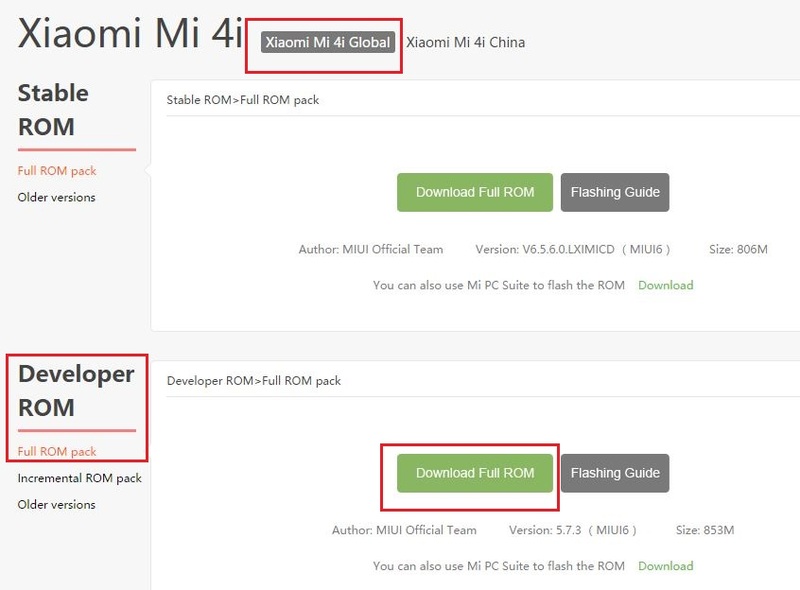 Global Developer ROM are the ROM which gets the update weekly, same like the China developer version. Global developer version are packed with some new feature, which you can’t find on the stable version or you will find them after a month. MIUI developer version will get the bug fixes timely every day, but stable version might be stuck with the same bugs for a longer time due to its less frequent updates. And last not least in developer version you don’t have to flash any file to get the root access. It is already available on the phone and all you have to enable it from the security settings. If you’re interested in experiencing new awesome features, the Global developer version is your choice! 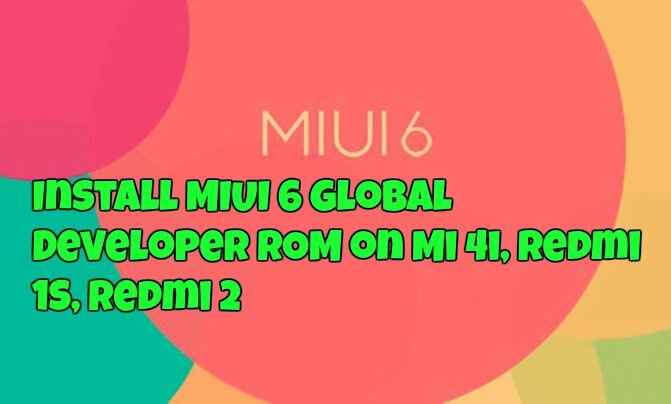 Here in this guide we’ll show you how to install the MIUI 6 Global Developer ROM version 5.7.16 on Xiaomi Redmi 1S, Redmi 2, and Mi 4i android smartphones. Before following this guide, do take the full backup of your phone and save it in some safe place. This method will wipe all you data and you have to restore all your data again. Step 1. To install the developer ROM on your phone, you have to download the ROM file on your desktop. Visit this Page and Select the device which you are using. 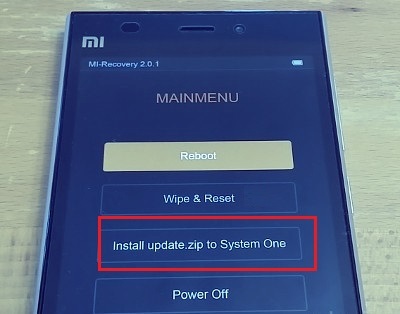 Here in this guide we are using the Xiaomi Mi 4i. Step 3. Now Rename the File to update.zip and move the file to phone internal SD card. Step 4. Now Launch ‘Updater’ app on your device, click the ‘…’ icon at the top-right corner, and select ‘Reboot to Recovery mode’ to enter. Step 5. Once your phone in recovery mode, select “English”. (use the volume keys to select, and the Power button to confirm). Step 6. Now from the main menu select “Install Update Zip” option. Step 7. Now the flashing process will start on your phone and it will take some time to complete. Step 8. Once completed, choose ‘Reboot to System One’, and then your device should boot to the new version. That’s it. Now your device is updated and running on the latest MIUI6 Developer ROM. 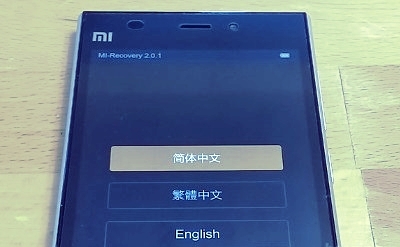 If your XIaomi device is stuck on the boot loop or Restarting itself, read our guide here how to fix it. will my problem also require to clear cache. then pl tell me the process of clearing the cache.